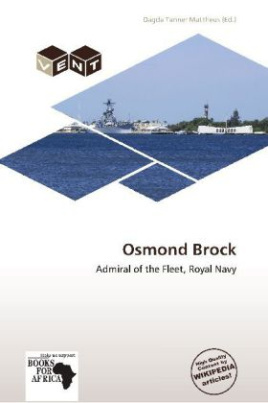 Admiral of the Fleet Sir Osmond de Beauvoir Brock KCB, KCMG, KCVO (1869 15 October 1947) was a Royal Navy officer. Brock was the eldest son of Commander Osmond de Beauvoir Brock of Guernsey and he joined the Navy in 1882. Appointed midshipman in 1886, he passed for Lieutenant with first classes in every subject and maximum seniority. He became a gunnery specialist and was on the staff of HMS Excellent for a year. Promoted to Commander in 1900 and Captain in 1904, he served as Flag Captain to Admiral Lord Charles Beresford and held posts at the Admiralty as Assistant Director of Naval Intelligence and Assistant Director of Naval Mobilisation.